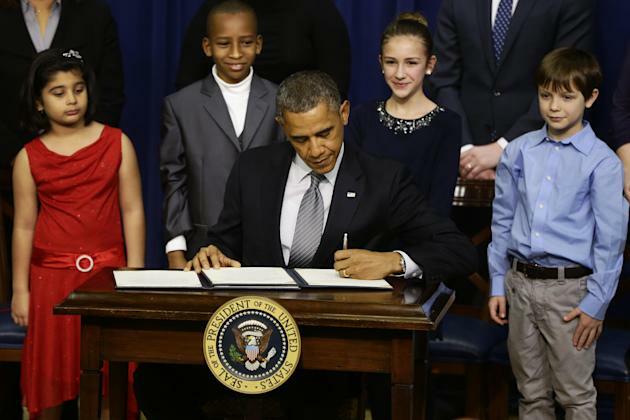 Invoking the painful memory of the schoolchildren killed in Newtown, Conn., a month ago, President Barack Obama on Wednesday announced the most ambitious gun-control drive in generations. Proposals include universal background checks as well as bans on assault weapons and ammunition clips that hold more than 10 bullets. Some of his proposals are sure to run headlong into fierce opposition from Republicans and some Democrats in Congress, as well as the powerful National Rifle Association lobby. "I will put everything I’ve got into this,” Obama, standing alongside Vice President Joe Biden, promised an audience that included relatives of the first-graders slaughtered at Sandy Hook Elementary School, survivors of other mass shootings and elected officials. "While there is no law, or set of laws, that can prevent every senseless act of violence completely, no piece of legislation that will prevent every tragedy, every act of evil, if there’s even one thing we can do to reduce this violence, if there’s even one life that can be saved, then we’ve got an obligation to try," Obama said in his speech. "And I’m going to do my part." The president declared himself a firm believer in the Second Amendment and denounced those who will cast his "common-sense" approach as "a tyrannical, all-out assault on liberty." He also warned those inclined to support his strategy that passage "will be difficult." “This will not happen unless the American people demand it. If parents and teachers, police officers and pastors, if hunters and sportsmen, if responsible gun owners, if Americans of every background stand up and say, ‘Enough, we’ve suffered too much pain and care too much about our children to allow this to continue,' then change will come," he said. "That’s what it’s going to take." Bowing to political reality, Obama’s proposals include a wave of 23 executive actions that circumvent Congress, where most Republicans and a few Democrats have balked at sweeping new restrictions they say could trample constitutional gun rights. The potent NRA has also pledged to defeat new gun control measures. The executive actions include requiring federal agencies to report more information to the federal background check system and directing the Centers for Disease Control to research gun violence. But Obama acknowledged that his more ambitious proposals would have to clear Congress. 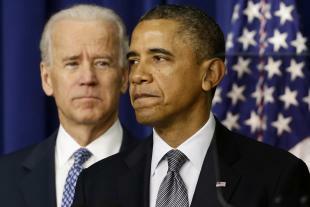 Biden, in his introductory remarks, said, "I have no illusions about what we're up against." But "the world has changed, and it's demanding action." - They did not provide an estimate of how many lives would be saved annually if the president got everything he wanted, saying the social science on gun deaths is not precise enough to do so. - Obama isn’t sending “specific legislative language” to Congress, the officials said, instead he's following his usual blueprint of laying out principles and then letting lawmakers craft a bill. - The proposals to limit the manufacture of new assault weapons and ammunition clips with more than 10 bullets would not affect those already on the market. - How did they settle on 10 bullets (and not seven, or 15)? One official said that number was taken from the 1994 assault weapons ban that Obama hopes to renew and strengthen. - Was the so-called "Fast and Furious" gun trafficking scandal a factor in shaping the president's proposals? "It was not," said one official. House Republicans gave the proposals a supremely cautious welcome. A spokesman for Republican House Speaker John Boehner, Michael Steel, said, "House committees of jurisdiction will review these recommendations. And if the Senate passes a bill, we will also take a look at that." After the president's speech, Republican Florida Sen. Marco Rubio, often cited as a possible presidential contender in 2016, vowed to oppose the proposals. “Nothing the president is proposing would have stopped the massacre at Sandy Hook. President Obama is targeting the 2nd Amendment rights of law-abiding citizens instead of seriously addressing the real underlying causes of such violence,” Rubio charged in a statement. And the NRA blasted Obama's approach, saying: "Attacking firearms and ignoring children is not a solution to the crisis we face as a nation." The organization also noted that "only honest, law-abiding gun owners will be affected and our children will remain vulnerable to the inevitability of more tragedy." Sounding almost as cautious as Boehner, Democratic Senate Majority Leader Harry Reid declared himself “committed to ensuring that the Senate will consider legislation that addresses gun violence and other aspects of violence in our society early this year.” That stopped well short of embracing the president’s actual recommendations. But Brady Campaign to Prevent Gun Violence President Dan Gross praised the White House’s “tremendous leadership” and vowed to “work with the administration over the coming months” to promote key proposals. And retired congresswoman and mass shooting survivor Gabrielle Giffords plans to lobby her former colleagues, while national public opinion polls have shown a surge in popular support for new gun laws. The president has long said he seeks a comprehensive strategy for preventing future mass shootings while diminishing the death toll from smaller-scale daily killings. Some of what he unveiled would require congressional action, like the assault weapons ban. Some could be achieved with merely a presidential signature—a step that could, in some cases, inflame opposition in Congress, notably among House Republicans. Obama scolded the Senate for failing to confirm a director for the bureau of Alcohol, Tobacco, Firearms, and Explosives in six years and said he would nominate the agency's acting director, Todd Jones, to the post. The proposals were the fruit of extensive discussions, led by Biden, with victims' groups, organizations that represent gun owners, elected officials and law-enforcement leaders. Obama also wants to boost anti-bullying campaigns in schools, and training for educators. Additionally he wants to give schools the ability to use some federal funds to improve safety—but did not explicitly echo the NRA’s demand for armed guards in schools. Key steps also included imposing background checks on all gun purchases. Right now, an estimated 40 percent fall outside existing law, including those at gun shows and other "private" sales, according to gun-control advocates. The existing system has stopped an estimated 1.5 million improper gun sales, according to an Obama aide, but "there's still too many loopholes." The president directed Attorney General Eric Holder to take a "fresh look" into whether the categories of people prohibited from buying firearms needs to be expanded or updated. Obama also aimed to thaw what the White House called a "freeze" in scientific research of gun violence by the Centers for Disease Control. And he urged Congress to bankroll the CDC to do research into possible linkages between violent video games and other media images and real-life violence, to the tune of $10 million. The total cost of the president's proposals was estimated at $500 million.